VSS 15, Active subwoofer from KME. The completely digital system unit VSS 15 with integrated 15" subwoofer is launched within the VERSIO series and according to its portable application only weighs 26 kg. KME tells us that inside the VERSIO VSS 15 works a digital 24 Bit signal processor and three powerful class D amplifiers. Beside the analogue inputs there is a digital input, which accepts AES/EBU or S/PDIF up to 192 kHz with format-/sample rate converter. The analogue input signal is digitalized directly inside the input amplifier using an intelligent 24 Bit AD-converter and remains consequently digital to the class D amplifier's output. The control panel with LCD graphic display and the navigation pad allow control of all parameters e.g. change of preset or other adjustments. Up to 10 factory presets and 5 user presets enable a flexible and quick operational readiness of the system in each reinforcement situation required. The VERSIO VSS 15 is core and control center of the new PA systems SD 3, SD 4 and SD 5. The SD 3 standard set with 1750 Watt power output includes two top units VL 8 and one VSS 15. After extending the SD 3 with one VSS 15 (2 x VL 8, 2 x VSS 15) you may add at least two more monitors or top units (VL 8 / VL 12) without additional amplifiers. The standard set of SD 4 has two tops VL 12 and two VSS 15 with a power output of 3500 Watt. 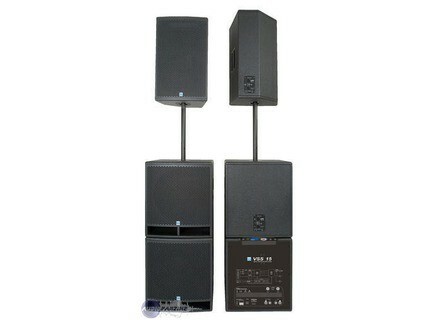 This PA system, also, can be extended without additional amplifiers by two monitors (VL 8 / VL 12) or top units (VL12) e.g. for a wide horizontal sound reinforcement or setting up a delay line. 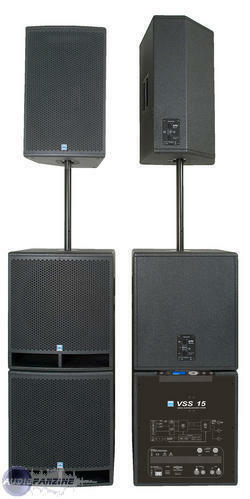 The SD 5 consists of two tops VL 12 (2 x 500 W), two passive subwoofers VB 15 (2 x 500 W) and two VSS 15 ( 2 x 750 W). It has a total system power output of 3500 Watts. For more information, visit their web site at www.kme-sound.com. Avant Electr. Avantone Active Mixcube Avant Electronics is now shipping Avantone Active Mixcubes. Crown 135MA Crown has launched its 135MA and 160MA mixer-amplifiers.